I was walking in Greenhills last night, pretty frustrated because we couldn’t watch Malificent when I came to Fully Booked to look for a surprise for my 4 year old niece. THEN, I fould this set right above the counter. AND I could not resist. 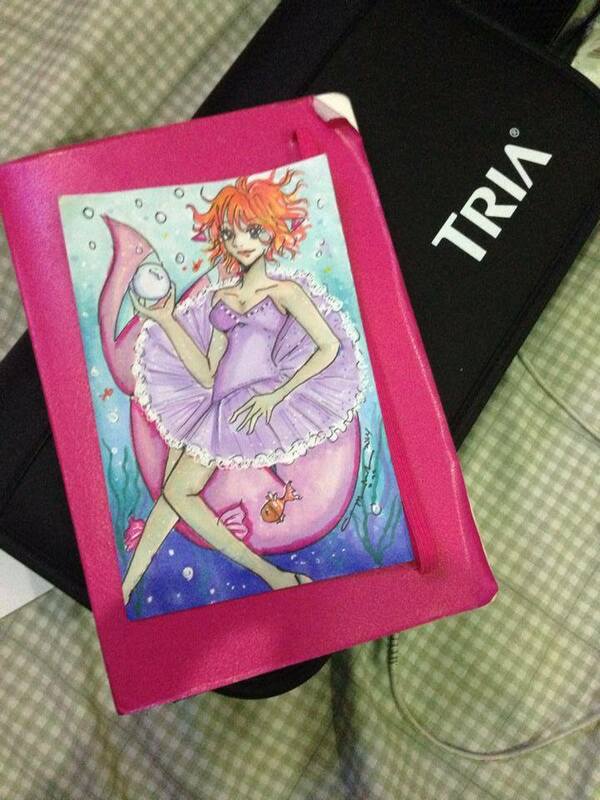 This is the manga24 set of Letraset Tria. I have copic markers so, i was iffy about it, but i gave it a go. I got this baby for 4k and I am pretty happy with it. It came with a lot of good colors, skintones, blues, black, pastels and purples which I can use, since I dont have a lot of purple in my copic collection. THe lack of pink botherd me but I think i can mix it , like i did with royal blues. The letraset markers have 3 tips. Which is more than I can ask for. It came with a brush tip, a chisel tip and a fine tip which I am holding. you can put the fine tip on top of the chisel tip. Pretty nifty for going into eyes and stuff. 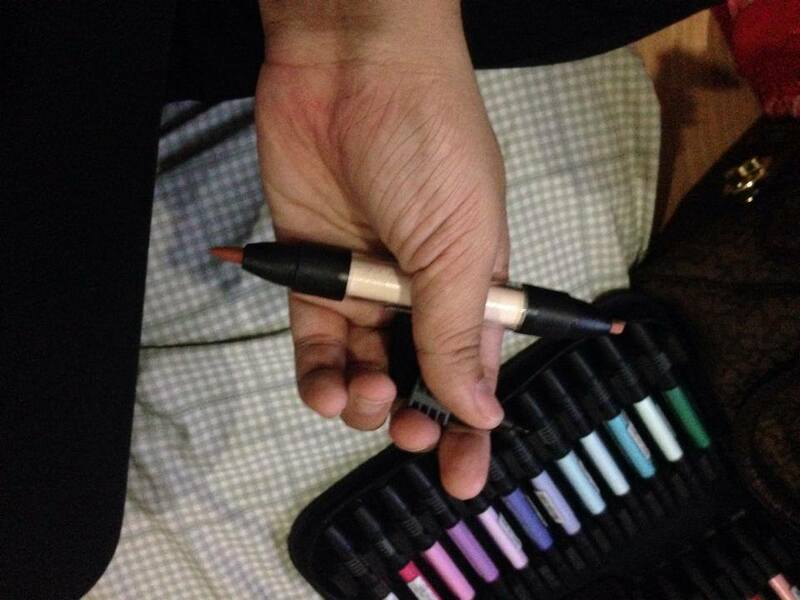 The brush tip is not so soft and it can bend so be careful with it, but it does a pretty good job for its firrmess. I did a test color on an art trade and it did pretty good. So this is definitely a good alternate. Ill use the fine nibs more than hte chisel tip so im looking forward to doing so! 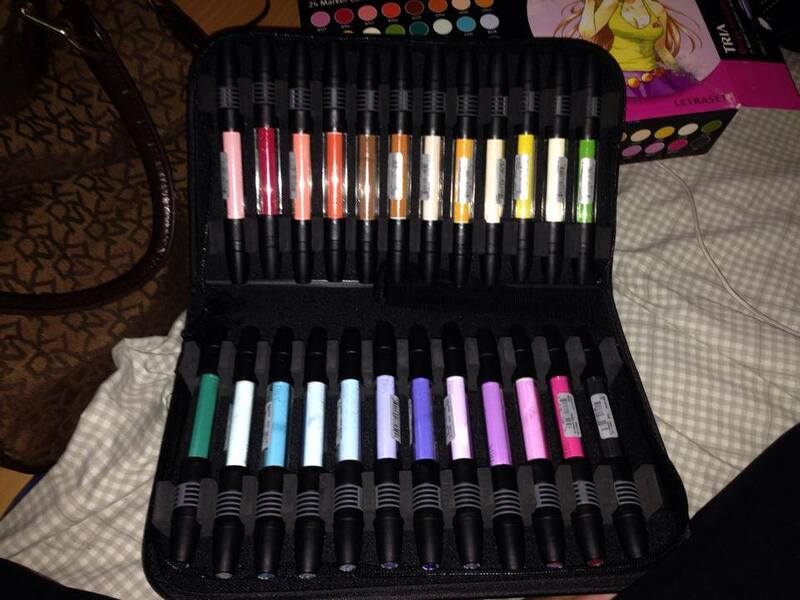 … but still, im particular with copics sohehe.. 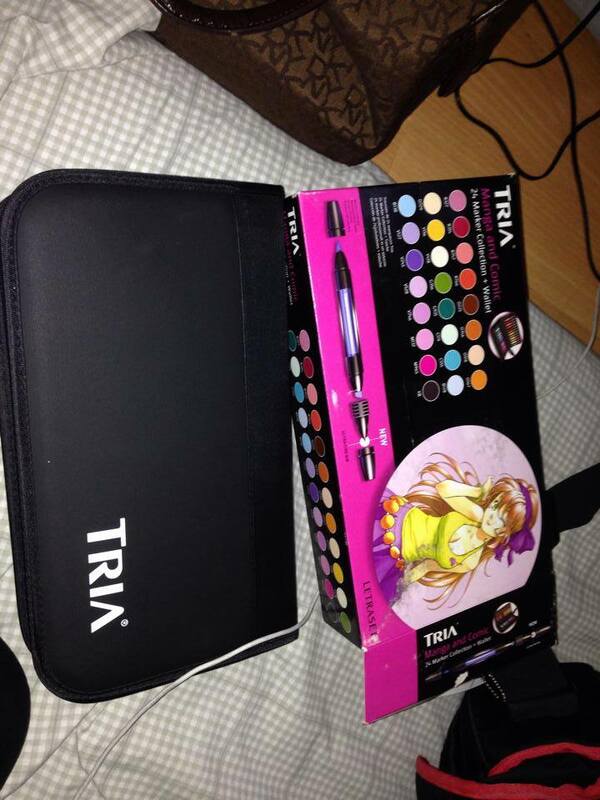 But this is agreat kit for going places since it has a wallet and its got a great pallette .